Back on the promo trail for her ew film 'Galveston', Elle Fanning attended the Los Angeles Film Festival premiere yesterday(September 23rd) in Culver City, CA. 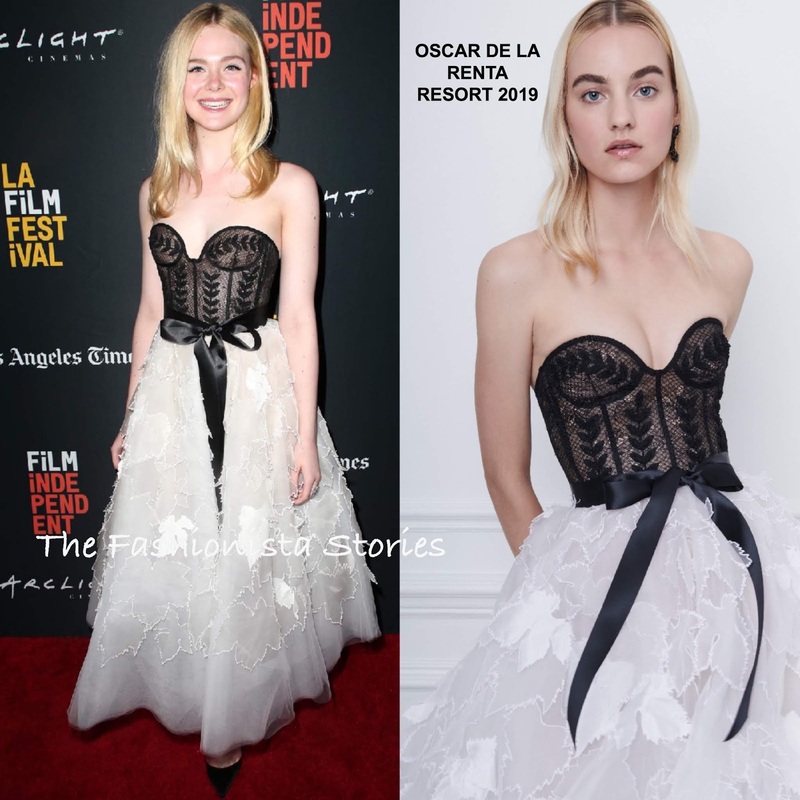 Elle is known for her frilly, princess like dresses which is why this OSCAR DE LA RENTA RESORT 2019 strapless cocktail dress is right up her style alley. Her dress which featured a black bustier top and a white A-line, tiered skirt, with a bow waist, was teamed with simple black pumps. With such a lovely dress, I feel like a red lip, with a similar hairstyle like the model could have kicked things up a bit. Also I wish the top was completely black. What do you think of Elle's look?